Drum roll, please! Our Surgery Center of Roswell is officially open and accepting new patients! We’re excited to tell you why this is a big deal for the Roswell community. As a practice that values the healing process and patient experience, it just made sense to us to move in this direction. Anyone who has received surgery in a hospital setting can vouch for how stressful the experience can sometimes be: the paperwork is overwhelming, the facilities feel crowded and impersonal, and the hospital bills are the gift that keeps on giving. That is not what we want for our patients. 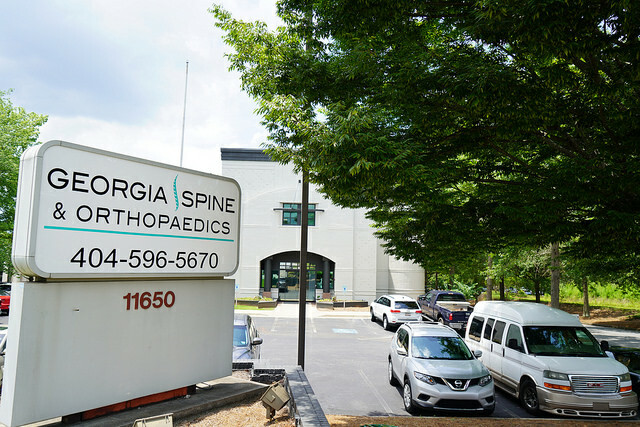 Our outpatient surgery center in Roswell focuses on providing the same quality, personalized care that we’ve built our practices around Atlanta. So what can you expect when you come to our center? When you arrive for your procedure, you will park in the free parking at the center, and be able to walk straight into the building. Once you’re here, a personal care coordinator will walk you through every step of the process. You won’t have to worry about forgetting to fill out paperwork or where you’re supposed to turn it in. We’ve done our best to streamline the process so you experience the least hassle. Treatment facilities don’t have to be cold, crowded, and uncomfortable! We offer snacks, coffee/tea, free Wi-Fi, and workstations, and since we believe in community, we’ve made plenty of room for family or friends in our modern and calming waiting areas. We are also passionate about working with employers, especially small businesses. Please contact us about bundled pricing for self-insured employer groups. As a local family-owned business, we are passionate about keeping the experience personal and the cost low while also having huge connections across the market. We have a wide network of resources and like-minded professionals in a variety of fields that we will gladly refer you to for the care that you need! We are excited to serve you! Our current GSO patients have full access to our surgery center for all outpatient procedures, but we want to share the blessing with others who might need our services. So if you’re not a GSO patient, contact us directly for an evaluation by one of our Board Certified Medical Doctors: Dr. Erik Bendiks or Dr. Jeffry Dressander.